Reach 12,380 travel goods professionals weekly. TGA tackles today’s most relevant issues, gathered from sources like The Associated Press, The New York Times, Financial Times and the leading industry publications. 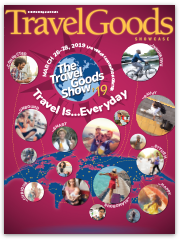 Delivered to the inboxes of travel goods professionals, the TGA Industry Update keeps professionals informed of topics that impact their programs. Subscribers are decision-makers with purchasing power – the top-tier professionals in the industry. Credible Source – For years, our members have turned to the association as the informational authority of the industry. Advertising in the TGA Industry Update solidifies your place among weekly information provided to members. Metrics + Reporting – As an advertiser, you’ll have the ability to track reader response your campaign, immediately quantifying your ROI. Affordable – dvertising in the TGA Industry Update is much cheaper than many other Internet advertising options, and much more affordable than television and radio promotion. Have you priced pay-per-click campaigns lately? Targeted Distribution – Advertising in TGA Industry Update allows your company to reach industry decision-makers. Your message will be in front of pre-qualified buyers who are looking for your products specifically for their business. Opt-in Subscriber List – Subscribers to TGA Industry News Brief have asked to receive this information. Your ad will no longer be mixed with junk mail and spam. Our enhanced technology ensures that your ad will make it through spam filters. Prices are for participation in 13 emails to 12,135 travel goods professionals and media (one 90-day cycle). 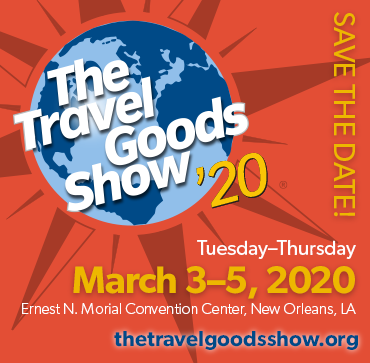 For more information, please contact Kimberly Field – field@travel-goods.org, 877-842-1938, x-701. Banner ads allow your company to combine text, colors, and graphics into a unique sales message. Showcase your latest product with this placement. Include an image of the product (175 x 125 pixels).